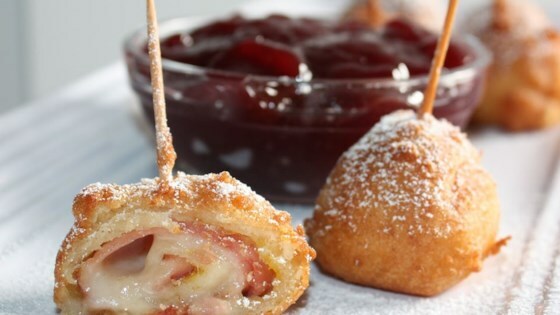 "This is the real Monte Cristo sandwich. It has a nice thick batter and is absolutely delicious. Enjoy hot sandwich with currant jelly or make a currant sauce with currant jelly, water and heavy cream." This IS the monte cristo from the Blue Bayou at Disneyland. I've eaten it many times. Excellent recipe and simple to prepare.